SD card to install and run OS from, for armbian 2 GB card can work but 8GB is recommended otherwise not much space will be left for additional packages and files. A LAN cable to access Orange Pi for initial setup since wifi will not be configured during installation. 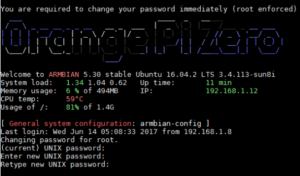 OS image, in this case armbian from https://www.armbian.com/orange-pi-zero/ stable release is preferable but experimental release will also do. Write OS image to SD card using win32 disk imager from windows laptop/desktop, for this open win32 disk imager executable and select the armbian image file downloaded above. Now select the drive that has you SD card in it under devices (be careful to select the correct drive as it will be formatted). Click on write to begin OS installation. Once above step is done take out the SD card and put it in the Orange Pi Zero, provide power through micro usb and connect it to your router with LAN cable. 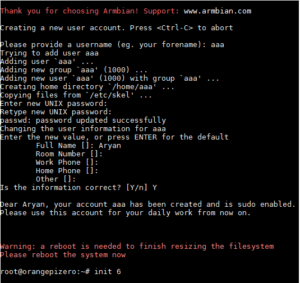 When logged in for the first time armbian will prompt you to change root password. change by giving current password (1234) and then set it to something you like and can remember. After this it will ask you to create another user, give details as asked and reboot with command init 6 to finalize the changes. Congratulations!!! 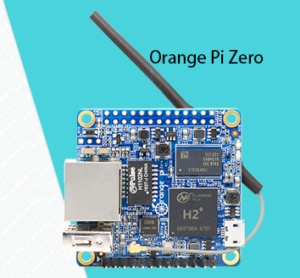 you have install and configured Orange Pi Zero for use. If you want to configure configure wifi to use with your Orange Pi Zero read this.